Add some sparkle to your look this season with this blazer dress. 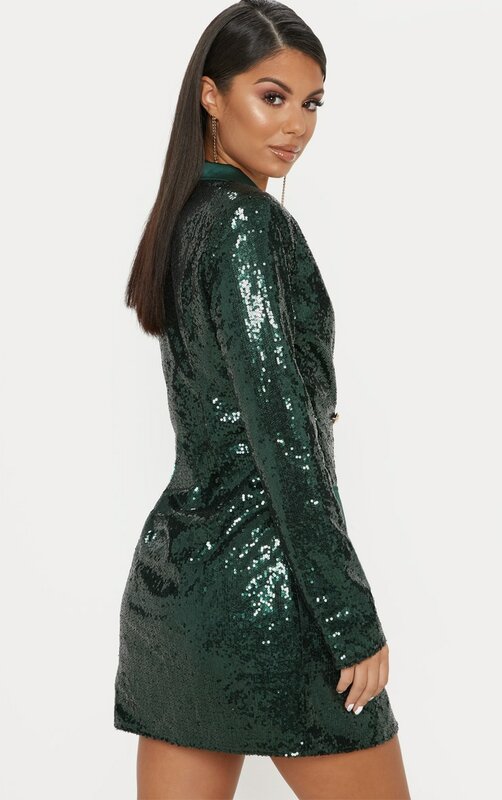 Featuring an emerald green sequin material, gold button fastenings and pocket details, what's not to love? Complete this look with barely there heels and a statement gold bag for a look we're loving.